Premier independent U.S. music festival producers Danny Wimmer Presents have announced the dates for their spring music festival lineup, including two new destination music festivals. 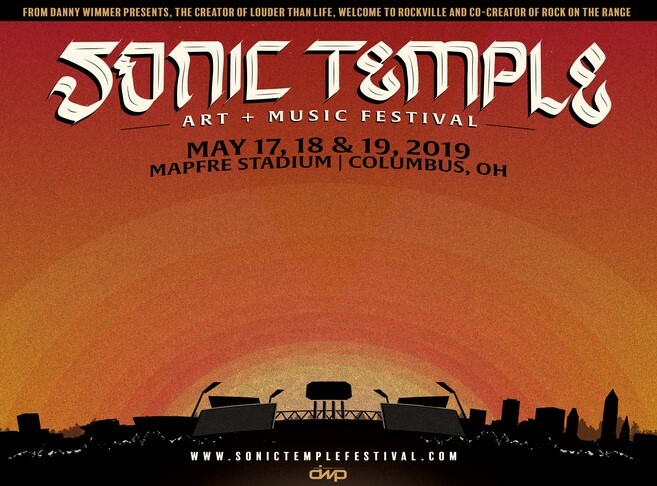 Sonic Temple Art + Music Festival will debut at MAPFRE Stadium in Columbus, Ohio on Friday, May 17, Saturday, May 18 and Sunday, May 19, 2019, and will feature a premium food and beverage selection, art installations, plus expanded onsite experiences like never before to accompany a spectacular and diverse music lineup that will be announced in the coming months. In addition, Chicago Open Air will return, presenting a new event called A Day In The Park at Toyota Park in Bridgeview, Illinois during the weekend of May 17 – 19. Los Angeles-based Danny Wimmer Presents is one of the largest independent producers of destination rock music festivals in America and produces events including Louder Than Life, Monster Energy Aftershock, Welcome To Rockville, Bourbon & Beyond and more. They’re also the co-creators of Rock On The Range, America’s largest and most acclaimed rock festival, which celebrated its 12th year in 2018 with 140,000 in attendance. DWP creates memorable and all-encompassing festival experiences, leaving both consumers and partners with lasting and meaningful impressions. By combining A-list music talent with local cuisine and culture, DWP has become recognized within the industry for delivering the highest-quality entertainment experiences to fans, artists, sponsors, partners, and host cities. DWP is comprised of industry professionals with collective decades of concert, food and beverage, brand partnership and music industry experience. The announcement of the inaugural Sonic Temple Art + Music Festival replaces long-standing festival Rock on the Range. LOCKER BOXES AT W:O:A 2018 – NOW AVAILABLE FOR BOOKING! BLOODSTOCK Launches the 2017 ‘Metal 2 The Masses’ Programme! FESTIVAL MAPS FOR W:O:A 2017!